Check out this URL for a video demonstration of Amazon Kindle. This is a milestone in the history which can be compared with the printing revolution brought by Gutenberg. I suppose, 50 years from now, we will read books on electronic devices and the paper will be obsolete. The present paper based books will be showcased in a museum for the future generations to peak into our past lives. We can save the planet from deforestation and the trees will be the one laughing by seeing the Amazon Kindle innovation. 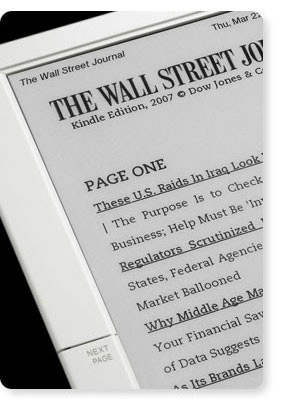 Here is the New York Times coverage on Kindle. We're very proud to introduce Amazon Kindle and we hope you like it as much as we do.